Black Agate Druzy is thought to enhance creativity and strengthen the mind. Associated with calm and protection, Black Agate Druzy ranges in color between pure jet-black and charcoal gray. Deep in the heart of each Black Agate Druzy gemstone are clear quartz crystals that reflect the color of the surrounding stone. This “swimming pool effect” effect causes the crystals to appear gray or black. Most Black Agate Druzy comes from Brazil and has a rough-cut, faintly shimmery texture. 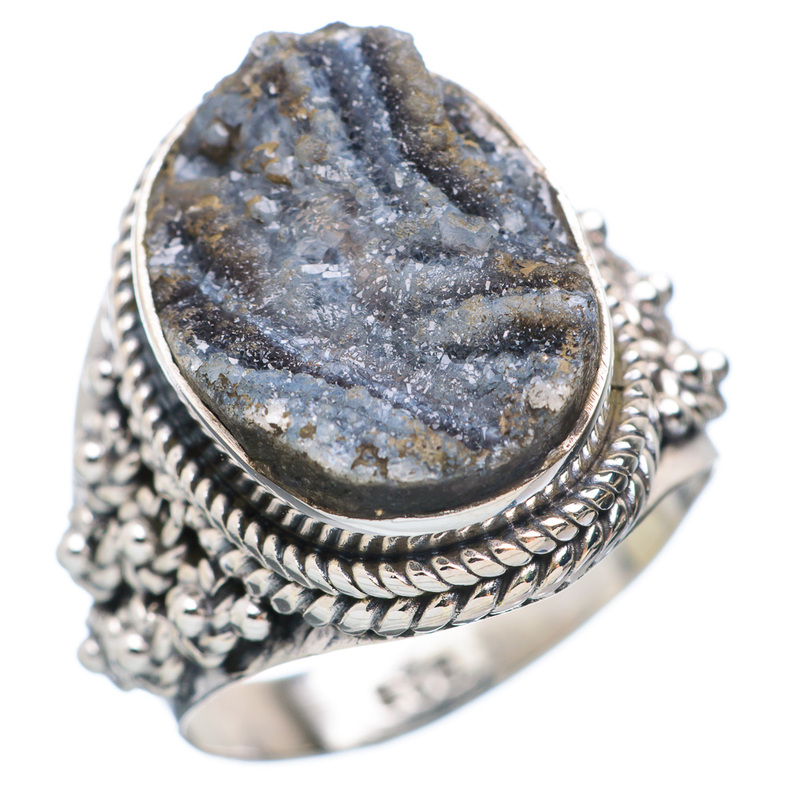 Adorn yourself with Black Agate Druzy silver jewelry from Ana Silver Co. for a naturally classy look! Using only the finest 925 Sterling Silver, our professional artisans design handcrafted, one-of-a-kind Black Agate Druzy pendants, unique Black Agate Druzy earrings, and our popular Black Agate Druzy rings. No two pieces are alike!